Nearly 90% of consumers now trust online reviews as much as personal recommendations. Dental Insider provides patients with the trustworthy information they’re looking for to make an informed decision when searching for their next dental professional. 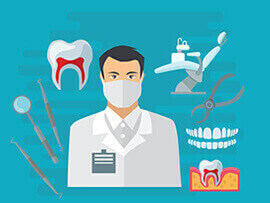 For dental professionals, it’s becoming more crucial to maintain a positive online presence. Best dentist , best staff , I love my smile !! Dr. Lembke is an excellent dental care provider. He takes the time to look at each patient's case from various perspectives in order to arrive at the best treatment plan. His techniques are current and well executed. Dr. Lembke is an outstanding dentist. Dr Kim has been my dentist since he came to Sacramento five years ago. I have moved out of the area, but I travel back to Sacramento for Dr Kim's and his staff's expertise. I have been to many dentists over this long life of mine, and none has come close to his ability to solve my unique dental problems, from implants and crowns to curing deep gum pockets. Other dentists would have sent me to specialists, who charge large specialist fees. He engineered and built a combination bridge and implant for my front four teeth that look and FEEL NATURAL, very important. Today I had my yearly exam and it was the best yet, no cavities, no pockets, all due to the repairs he has done and the coaching from him and his hygienist, very professional. They take the time to point out specific areas to work on and explain options and techniques to keep teeth and gums healthy. Danielle, the office manager, is very experienced and gets all the insurance facts and nuances, a knowledgeable and lovely person to deal with. Dr. Kim, his office and his staff are impeccable, helpful and ethical. Also, Dr Kim is a master with the novocaine needle, never any pain. My husband and I are both patients at Hartland Smilemakers with Dr. McDaniel & would highly recommend his services. I’m not a big fan of going to the dentist, but have had nothing but positive things to say about my experience here. The staff are professional & always make me feel at ease during treatment. The office is clean & welcoming. I’ve always felt confident that my care has been a priority to Dr. McDaniel & his staff. GREAT Dental office. Right away the staff welcomed me and made me feel comfortable. Every question I had was answered very thoroughly by Dr. Cowan. I would recommend this office to anyone, I am excited to come back and get my next cleaning! Our family has SO MUCH APPRECIATION for Schulten Orthodontics. They were the only orthodontic office we could find that would finish out our daughters care after moving to this area from Paducah, Ky. Schulten saved us so much time & many hazardous hours on the interstate, not to mention, gas & vehicle wear/tear by finishing out our daughters orthodontic care. Schulten provides great, thorough & compassionate care. If I had another child needing orthodontic care I would not hesitate to choose Schulten. Dr. Bachour's dental office is amazing. I am very timid about dental appointments based on some past issues. Dr. Bachour and his team are caring, explain everything, and constantly check on you during a procedure. Dr Bachour is very thorough, provides you with all the options available, but allows you to make the decision on your dental plan. Best experience I have ever had! Looking for a dentist specialist?